It is important to know that while Kikino serves the Métis population of Prince George, non-Métis, First Nations or Inuit persons are equally entitled to access services. We proudly support ANY individual or family who may benefit from services or programs offered at our agency. If you are interested in any of the programs or services offered by the Kikino Métis Children & Family Services Society, please contact us and see how we may be of assistance. Scheduling for this program is based on interest and registration. The purpose and goal of this program is to educate, enlighten and empower Métis parents in navigating the Child Welfare system. So many parents we work with feel overwhelmed, powerless and fearful when confronted with the Child Welfare system and its agents. This is often due to multiple factors/barriers including previous experience (often negative) lack of understanding/awareness, perceived or actual inequality systemically embedded in this and similar social systems. The Knowing Your Rights program will utilize resources including the CFCSA, FRA as well as, an array of information obtained through the Legal Services Society. Participants will be guided through the child protection process and will be offered opportunity to critically analyze each component of the process from "the knock at the door" onward. Our people, when knowledged in unfamiliar or intimidating areas, can become their most committed and conducive ambassadors. Based on demand/need and facilitator availability. Generally run once per week for 8-10 weeks. Please contact Kikino for more information. Intake is required and program is based on scheduling availability. The Supervised Access program provides opportunity for parents, grandparents and extended family to retain and nurture relationships with their children while in the care of the Ministry of Children and Family Development (MCFD). We at Kikino acknowledge that this is not the ideal situation for families and therefore strive to create a comforting, natural and welcoming environment for families to spend time together. Families can prepare a meal together in the open kitchen area, they can share a meal together in the dining area and they can relax play or cuddle-up together in the living area. We believe that in offering a naturalistic environment and allowing families to conduct themselves as if "at home", they are enabled to strengthen identified challenges/gaps while working towards re-unification. Kikino's recording and reporting for the Supervised Access Program has been identified as unique to the Prince George area and we are the only agency (including other delegated agencies contracted to provide supervised access) utilizing a standardized format, which allows for both objective and subjective observations/recordings. For more information about these programs, please contact us!  Kikino's services and support are available to non-Métis persons too!